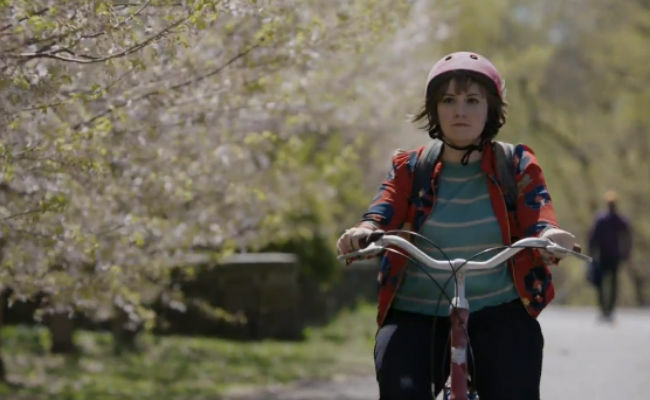 For all her narcissism and the resulting social blindness it engenders, there is still something inherently likeable about Hannah Horvath, the wanna-be successful writer/great friend/stellar lover and partner portrayed by soon-to-be published author Lena Dunham in HBO’s Girls, a show she also writes and produces. It has a lot to do with the fact that the yawning disconnect between Hannah’s good intentions, and her actual often less than desirable actions, while exaggerated obviously for comic effect, tends to have a lot in common with our own often bumbling efforts to make a stellar success of life. But not only can we identify with Hannah’s attempts to get life right the first time, we can also see in her repeated failings to master the nuances of the holy life trio of career, friends and family, and love our own inability to learn from our mistakes. And nothing makes a comedy more compelling than when it hits homes, and hits home hard where it matters, not just in our funny bone. If you were worried that Hannah might suddenly have got all her sh*t together since the end of season 3, which saw her gain entry to the fabled Iowa Writers Workshop and declare to boyfriend Adam (Adam Driver) that she wanted to find “a whole new world in the shape of me and just fill it up [creatively]”, and may therefore be a little harder to identify with, fear not for the teaser trailer for season 4, which sees the budding writer seemingly happily ensconced in Iowa working on her craft (and is accompanied by a charming Aberfeldy song “Friend Like You”), puts paid to all that. What starts out as a happy bike ride along sun-dappled lanes soon turns into a slow motion face planting on some roadside grass and the embarrassment, a state which is almost Hannah’s second home, of people having to rush to her aid. It’s classic, classic Girls – since let’s face Marnie (Allison Williams), Jessa (Jemima Kirke) and Shoshanna (Zosia Mamet) aren’t exactly killing at life either, especially not as season 3 ended – and bodes well for the recently-wrapped season 4 which will air early 2015.